It is also shown below. ‘The collection of papers featured in this book were drawn together as a response to the Department for Education’s Expert Panel, which considered the future of Design and Technology (D&T) in the English National Curriculum. 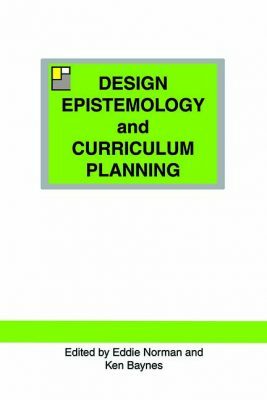 Through the expertise of its contributors, Design Epistemology and Curriculum Planning explores the issues and difficulties surrounding the articulation of design epistemology and sets an agenda from which it is hoped that on-going discussion will ensue. Although it is a response to a particular set of circumstances that D&T faced when the National Curriculum was rewritten in 2011, this exploration of design epistemology also has validity for art, craft and design educators notably as it also deals with epistemology and visual thinking as a theme. The range of thinking that is presented as ‘First Thoughts on Design Epistemology’ and ‘Others’ First Thoughts on Design Epistemology’, successfully contextualises the subject ‘design’ and clearly articulates the issues against the background of changes to the National Curriculum from its inception to present day. Although presenting different viewpoints around the subject, there is consensus that, in short, the (art and) design education community has not done well in clarifying what design knowledge is or what design thinking is. This lack of clarity, coupled with an examination system that constrains the subject of design artificially and issues around teacher training and CPD have all contributed to where we find ourselves today. Although it is acknowledged that design sits, by title at least, in two National Curriculum subjects in the curriculum, the authors do question whether design education has really appeared in practice in either. Tristram Shepard offers the view that in the case of art, craft and design, the teaching of craft and design were ‘largely relinquished during the 1990s.’ Sadly, from an art, craft and design perspective he is probably right. He does challenge teachers of art and design to re-claim design and his discussion about the ‘Design Process’ and suggestions of the knowledge that students need to acquire as part of their design education in order to address the process of design provide a practical and useful checklist for art and D&T teachers alike to reflect on and build into practice. In the section that deals with Epistemology and Visual Thinking, Ken Baynes presents a playful look at ‘what is unique to graphic meaning and how it differs from other ways of making meaning’, combining words and images to communicate strong messages. This is complemented by a paper by Xenia Danos that argues persuasively for the place of graphicacy as a key communication skill and its importance in teaching and learning. The taxonomy of graphicacy that she presents is a really helpful tool to map graphicacy across the curriculum; particularly good for sharing with non-specialist colleagues involved with curriculum development in secondary schools, especially those who are inclined to confine the concept of visual communication to the art department!